The Saints opened the season with home games against Tampa and Cleveland. On paper, before the season, that was seemingly the easiest schedule in the league. New Orleans barely managed to escape that stretch at 1-1. Not an encouraging start for a team that many considered a Super Bowl contender. In Week 1 their defense was obliterated. In Week 2 their offense could only manage 3 points prior to the 4th quarter. This alternating ineptitude on either side of the ball means the most likely outcome of this game is: special teams catastrophes! I’m guessing that punter Thomas Morstead will accidentally hit the ball too high in his drop and kick the ball directly into his own face mask, wedging it there. He’ll panic and attempt to get the first down, but since he won’t be able to see past the obstruction he’ll run the wrong direction, eventually crashing into the goal post stanchion once he races through his own end zone. The play will result in a safety and the end of Morstead’s career. He’ll retire out of embarrassment. This will result in New Orleans having to go for it on all subsequent 4th downs, due to their lack of a punter. This will not be beneficial. After two weeks the Packers are undefeated and have outscored their opponents by a total of 1 point. That has to be the first time that’s ever happened, it’s almost a statistical impossibility. Thank God for ties! Meanwhile Washington followed up what looked like an impressive Week 1 effort with a real stinker at home last Sunday. That opening win in Arizona may continue to look less meaningful the more we see the Cardinals play. Could Green Bay cut loose and really run away with this one? I think so. Look for them to win by 3 maybe 4 points. With Carson Wentz set to return to the field this Sunday it appears that the Nick Foles era is done for now. What will be your greatest memory of his time as the Eagles starting quarterback? For me it would be that time he won the Super Bowl and was named the game’s MVP. In two starts this season though Foles was unable to replicate his postseason success, only managing to throw for one touchdown pass. But isn’t it better that he’s been unremarkable? If he was just awesome now, that championship performance wouldn’t be quite so magical. So thank you Nick Foles for returning to mediocrity, and in the process making us all believe that on any given day we too can do something remarkable. The situation as it is also helps the Eagles smoothly transition back to Wentz without any hesitation. I expect Philly to grind out a win as their franchise QB shakes the rust off. And watching it all from the sidelines with an earpiece and a clipboard will be a schlub who happens to be the reigning Super Bowl MVP. In the history of the NFL, two franchises are tied with for the worst Super Bowl record, at 0-4. You’re looking at them. 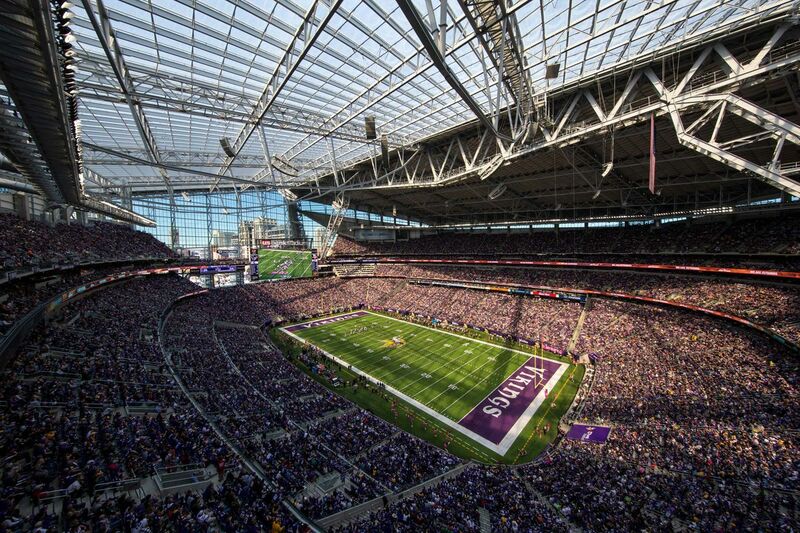 Each of these fanbases are so intertwined with misery that it feels wrong to play this game in the sparkling new U.S. Bank Stadium. 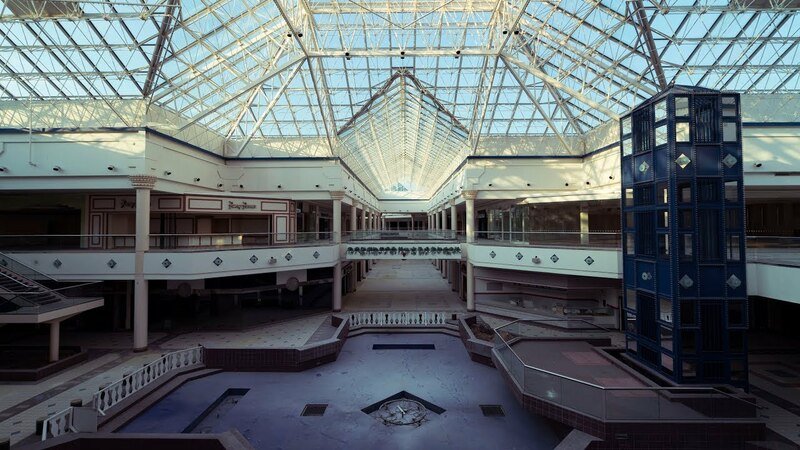 It would feel more appropriate at an abandoned mall. That’s more about history than anything though, because presently these teams look promising. For the Vikings, that means they have Super Bowl aspirations. For the Bills that means they’re promising that they’re actually trying to win football games. You could forgive anybody that’s watched them play this season for suspecting otherwise. The 17 point spread on this game is the highest of the season, but if I were Bills coach Sean McDermott I wouldn’t bring that up to my team; I wouldn’t want them getting a big head and thinking they can hang within 17 points of the Vikings. Miami has a very real shot at remaining undefeated for another week. They may owe much of that to their soft schedule though. After this game we’ll likely be wondering, are these Phins 3-0 or 3 & faux? As for the Raiders, they let one slip away last week, and another close loss wouldn’t just leave them at 0-3, it would make them D’oh & 3. Hey Homer Simpson, get out of here man! And don’t have a cow while you’re at it! 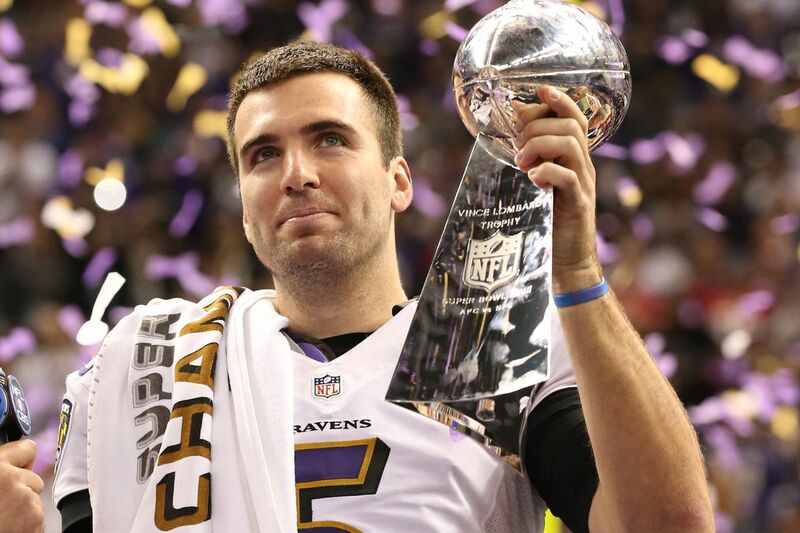 Last season the Ravens were a mercurial team on their way to a 9-7 record. Their average win was by 18 points, whereas their average loss was by 10. So far in 2018 they’ve picked up right where they left off, winning their opener by 44 then dropping their next game by 11. It’s ironic that such an extremist squad is quarterbacked by a man that’s seemingly never shown a human emotion. The Broncos have won two close games so far, but as we just discussed, they shouldn’t count on this being a tight contest either way. I guess what I’m getting at here is that you shouldn’t bother watching this game. If it turns out to be really great don’t @ me, @ the stats ... or the st@s.
Being in different conferences, these teams only play each other once every four years. So what happened when these two clashed in 2014 you ask? Are you sure you want to know? You might regret it ... Ok fine, but you asked for it. The last time the Carolina Panthers played the Cincinnati Bengals, on October the 12th in the year 2014 the winner was ... no one! They TIED! That’s right, in this, the season of the tie we’re having a tie rematch. We’ve seen one stalemate per Sunday so far, could this be our third in three weeks? Will they tie for the second straight time? A double knot? Of course! It’s fated to be. Talk about two teams who have had disappointing starts to the season ... Go ahead, talk about them, I don’t feel like writing right now ... Ugh, fine. You know I’ve been noticing you really don’t pull your weight around here. Deshaun Watson has so far failed to regain his rookie season form that saw him light up scoreboards and hearts alike. Meanwhile, Eli Manning has regained his past form, it’s just not the one New York was hoping for. I’m guessing the home team will get the win, but I’m not sure I should place any credence on whether the Giants are home or away, because Eli Manning clearly doesn’t know where he is at any given moment on a football field. In Week 2 the Jaguars took a step towards exorcising their postseason demons from last season by convincingly beating the Patriots behind a dominant effort from ... double-checking notes ... Blake Bortles. We’ve seen occasional flashes of brilliance from Bortles before that remind us that he was indeed the 3rd overall pick in the draft at one time. The real question, as always, is whether or not he can maintain this. If he can, the Jaguars will win the Super Bowl. Unfortunately the answer to that question has always been no. It's just a matter of figuring out when he falls back to earth and subsequently burrows beneath the ground into a hole from which no passes can escape. I say he stays up for air this Sunday and gets Jacksonville to 3-0. But if you see a giant dirt clod in the Jags’ backfield midway through the 2nd quarter you’ll know what’s happening. Here’s how I see this one going: Standing in the tunnel to the locker room, looking out to the field is a shadowy figure in a trench coat. It’s hard to make out his face but he exudes the vibe of a grizzled man, one who’s been ravaged by the inevitable march of time, one who’s seen a lot, perhaps too much. You may feel sympathy for him, but he’d never ask you to. Suddenly the sun glints on his weathered visage and we see that it’s Alex Smith. He’s returned to gaze upon his old squadrons and take account of how they’re doing in their new lives, with their new quarterbacks. But as quickly as we see that it’s him he turns to leave. Maybe because he doesn’t want anybody to know he was there. Or maybe he’s going to find a change of clothes because he’s wearing a trench coat and it’s 80 degrees in Kansas City. But probably because the Washington game is scheduled at the same time and he’s now running very late. It’s the battle of Los Angeles, but unfortunately this one won’t feature Aaron Eckhart. Unless he shows up to the game, but I doubt he will, he’s usually busy with other stuff on Sundays. Er, at least I imagine he is. Anyway, here we have the Rams versus that other team that plays in LA, and it could be a decent match-up. Normally in a split city environment (Giants/Jets or Raiders/Niners) the home team has to consider the likelihood that their crowd may not be as one-sided as usual. Something tells me that won’t be a factor in this one. In fact, there might even be fewer opposing fans than there normally are in the Coliseum. I’m not saying there won’t be any Charger fans in attendance, I assume Phil Rivers’ family will be there, which means LAC have at least 18 people pulling for them. Sadly I don’t think that will be enough. 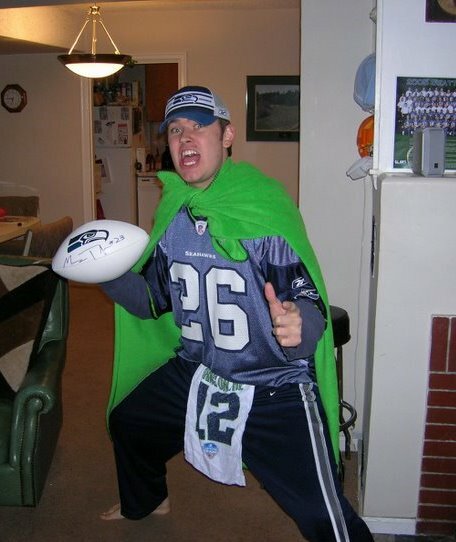 This is the Seahawks’ home opener and (somewhat sadly) the player that the people of Seattle may be most excited to see is rookie punter Michael Dickson. It’s really a great scenario for the struggling Seahawks offense, because even when they fail the crowd will still be buzzing on 4th down. But it’s not just punts, last week Dickson drop-kicked a penalty-shortened kickoff inside the 5 and then proceeded to attempt a drop-kick onside kick. The latter was far from effective, and was only attempted because Hawks’ kicker Sebastian Janikowski has (mind-bogglingly) never successfully converted a 4th quarter onside kick in his 17 year career. So in other words, the Seahawks will not be recovering an onside kick this season. But I don’t think that will be a problem, because I don’t expect them to be behind again in any 4th quarter from here on out. If I were on the Cardinals I would feel very disrespected. They have to hear all this talk about how the Bills are the worst team in the league, as if they (the Cardinals) haven’t put up only 6 points over two weeks. As if they haven’t lost their games by 18 and 34 points. As if their quarterback isn't Sam Bradford. What more do these guys need to do to prove themselves to you?!? What, not reach double-digit points over the first 3 weeks combined? Will that make you happy? Very well. Thanks for the trivia CC! We'll keep our ears open. It’s time for our new weekly feature, the Ryan Fitzpatrick MVP status check . Checking ... yep he’s still the NFL MVP. His main competition would probably be Patrick Mahomes, who just put up 6 TDs against the team that Fitzpatrick gets to feast on this Monday. The Steelers are in a state of disarray, with LeVeon Bell absent, Antonio Brown grumbling, and Ben Roethlisberger sounding as dim-witted as ever trying to publicly sweep everything under the rug. They’re dealing with all of this and now they have to go up against the presumptive NFL MVP? Good luck suckers! Mark Fitzpatrick down for another 400 yard 4TD night.